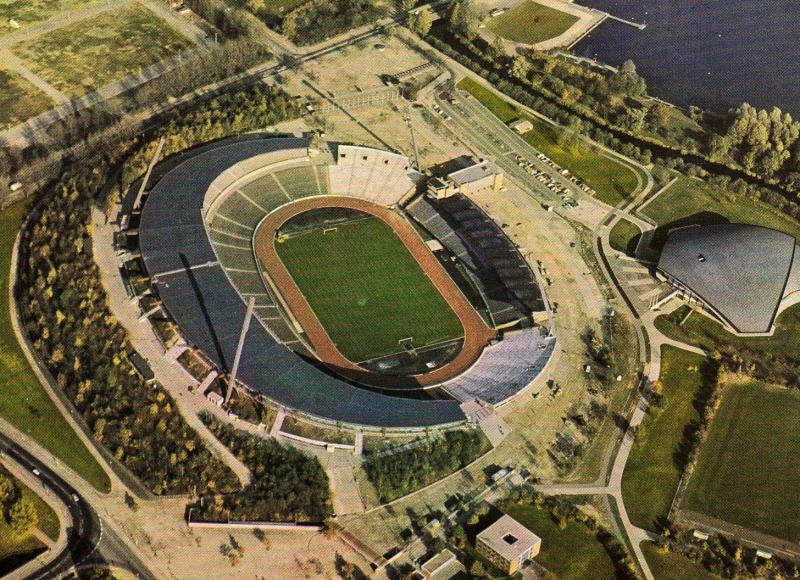 The HDI Arena, until 2013 known as AWD Arena and until 2002 called Niedersachsenstadion, was built between 1952 and 1954. The stadium, which cost 4 million DM to build, opened on the 26th of September 1954. 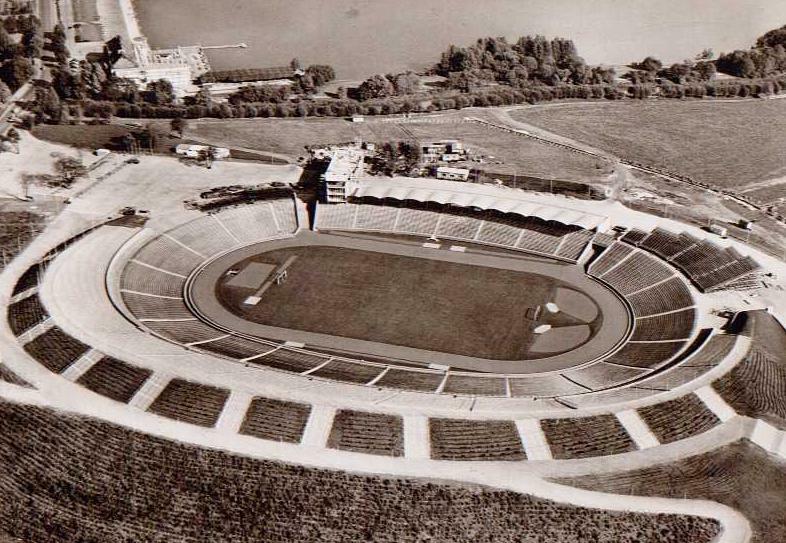 The first match at the Niedersachsenstadion was played three weeks later. The tie between the national teams of West-Germany and France ended in a 1-3 victory for the guests. The stadium could initially hold 86,656 spectators. 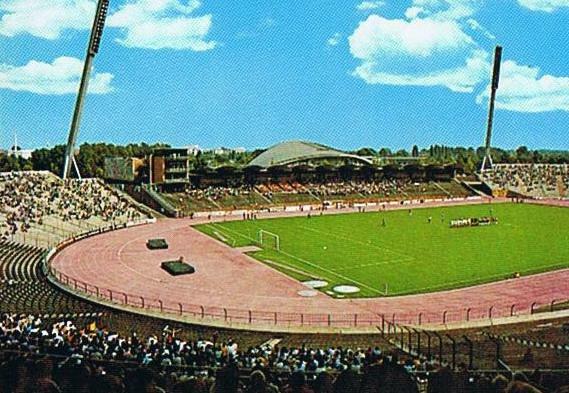 The Niedersachsenstadion had been built by the city of Hanover to host multiple sports, and it was only from 1958 that Hannover 96 started using the stadium for their most important home matches. Their regular home remained Eilenriedestadion until the club made the permanent move to the Niedersachsenstadion in 1964. Soon after, the stadium got selected as a playing venue for the 1974 World Cup and therefore extensively renovated. Works included, among others, the construction of a roof that covered part of the stands. 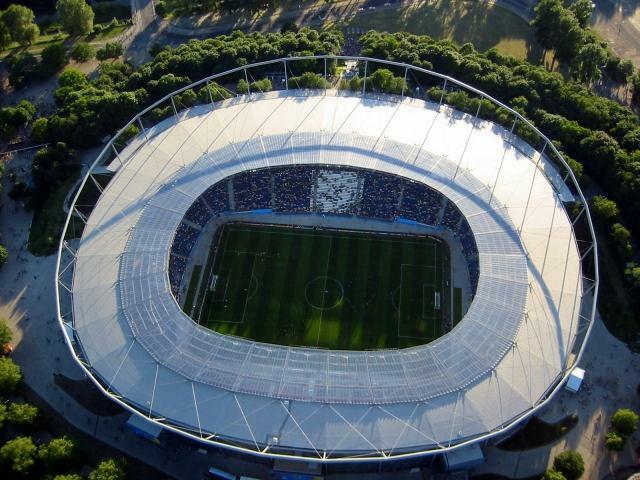 During the World Cup, the Niedersachsenstadion hosted two matches in the first group stage and another two in the second group stage, most notably the match between Brazil and Argentina (2-1). Fourteen years later, the stadium was again chosen as a playing venue for a major tournament, this time the 1988 European Championships. During that tournament, the stadium hosted two first round group matches. In 2002, the stadium changed names to AWD Arena as the result of a sponsorship deal. Soon after works started on a new round of redevelopments to prepare the stadium to host matches during the 2006 World Cup. The €66-million modernisation plans involved the almost complete rebuilding of the stadium and the installation of a new roof. Works were completed in early 2005. During the World Cup, the AWD Arena hosted four group matches and the quarter-final between France and Spain (3-1). In 2013, the AWD Arena changed names again following the take-over and renaming of insurance firm AWD by Swiss Life. The new naming sponsor was another insurance firm, HDI Gruppe, resulting in the name HDI Arena. 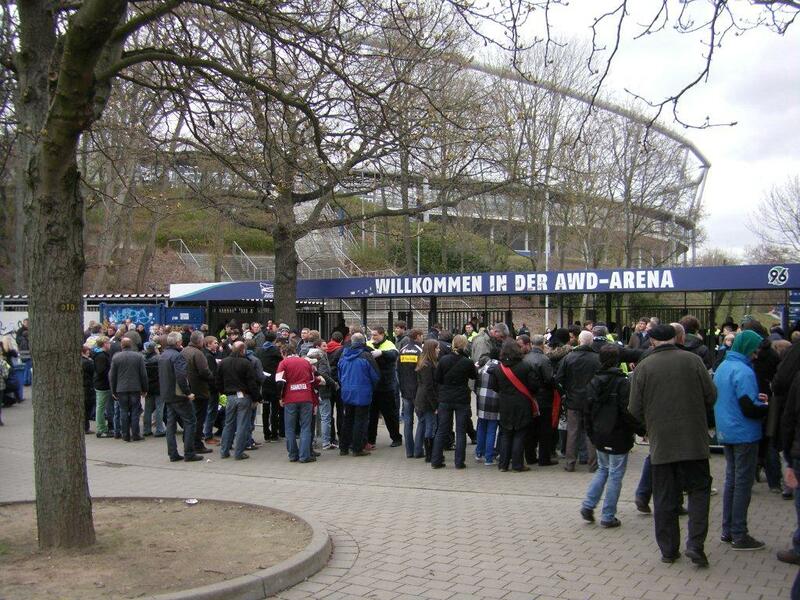 The HDI Arena is located about 1.5 kilometres, or 20 minutes walking, south of Hanover’s city centre. The walk from the main rail station takes 5 to 10 minutes longer. The stadium can also be reached by commuter rail (S-Bahn). 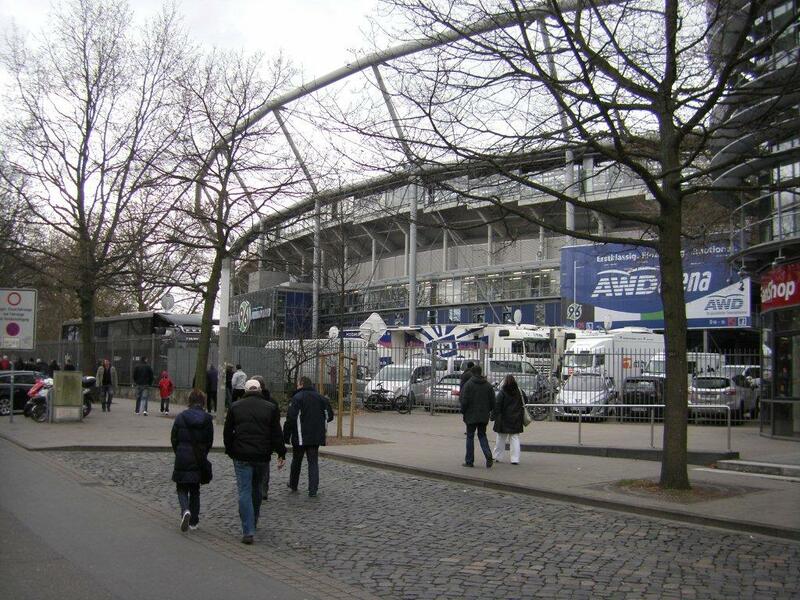 The stadium is served by line S3, S7, S9, and S17, which all pass through the centre (Kröpcke or Thielenplatz) and the rail station (Hauptbahnhof). Either get off at station Waterloo (S3, S7, and S9), or at station Stadionbrücke (S3, S7, and S17). Both stations lie a 5 to 10-minute walk away from the stadium. Alternatively, bus 100 and 200 connect the stadium with the city centre. Get off at stop HDI Arena (AWD Arena). 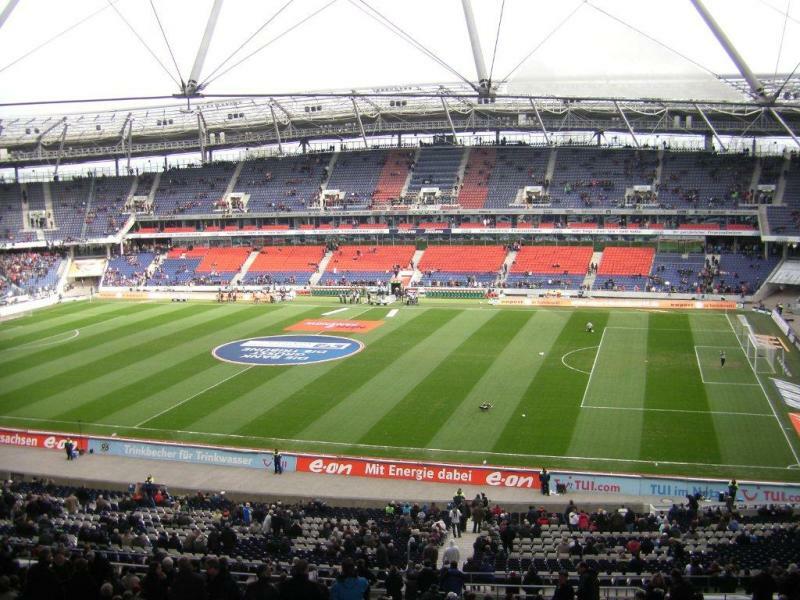 The HDI Arena is located in a pleasant area surrounded by other sports facilities, parks, and the Schützenplatz Hannover, a large fairground. There are a few eating and drinking options directly near the stadium, and many more a short walk away in Hanover’s city centre. If you wish to stay close to the stadium and have a large budget, the Courtyard by Marriott Hannover Maschsee will likely have your preference as a hotel. For those on a tighter budget, Hotel Ahrberg Viertel is an option just west of the stadium. You could also pick a hotel on the southern edge of the city centre, from where it is about 10 minutes walking to the stadium. Garni Hotel Reverey, Mercure Hotel Hannover City, and Lühmanns Hotel am Rathaus all get good reviews and are reasonably priced. Click here to see all hotels near the HDI Arena, and here for more hotels in Hanover’s city centre. Tickets for Hannover 96 matches can be bought online, by phone +49 (0) 1805 1896 00, at the Fanshop at the HDI Arena, at the Fanshop at the Rathenaustraße 21 in the city centre, or at one of the other authorised sales points, of which several in Hanover’s city centre. If tickets remain available, these can be bought at the ticket windows of the stadium on the day of the match. 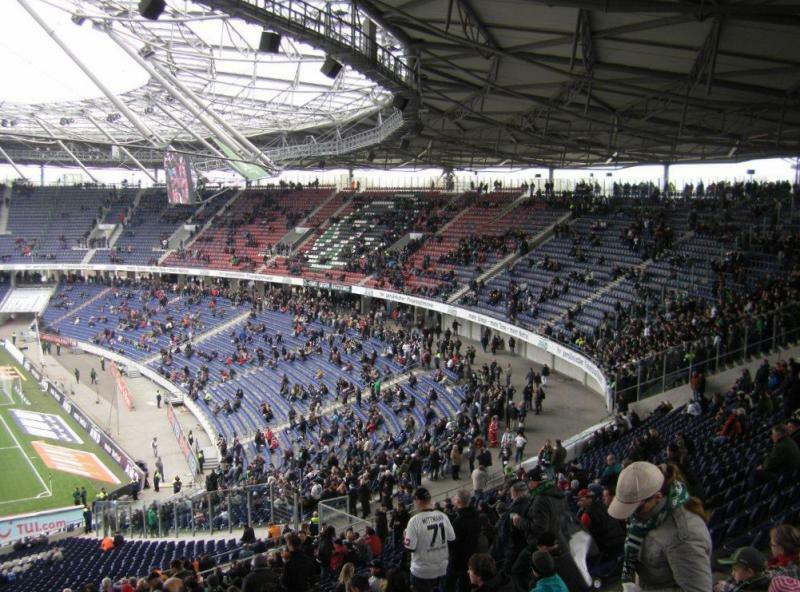 In the Bundesliga, Hannover typically sell out about half of their league matches in a season, but in the 2. 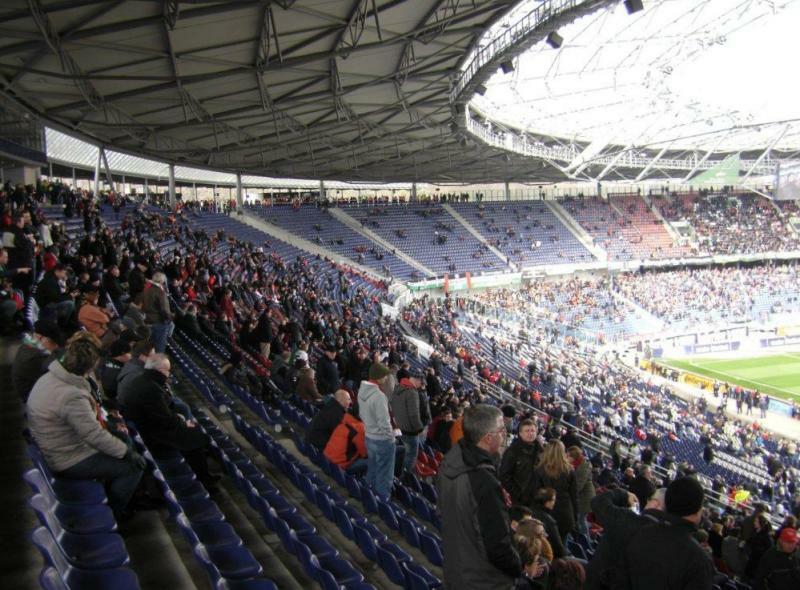 Bundesliga they only sell out the local derbies. Tickets prices start at €20.00 for a seat behind the goal and range up to €40.00 for a central seat at the main stand. Standing costs €12.00. 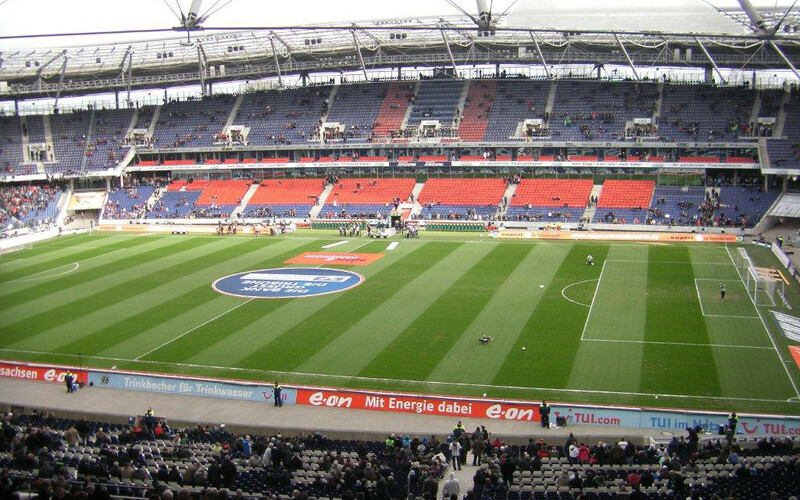 Hannover 96 organise guided stadium tours of the HDI Arena that include the VIP areas, mixed zone, and press room. The tours last between 70 and 90 minutes. Tours typically only run a few times a month. Check the official website for the current schedule and to book online. 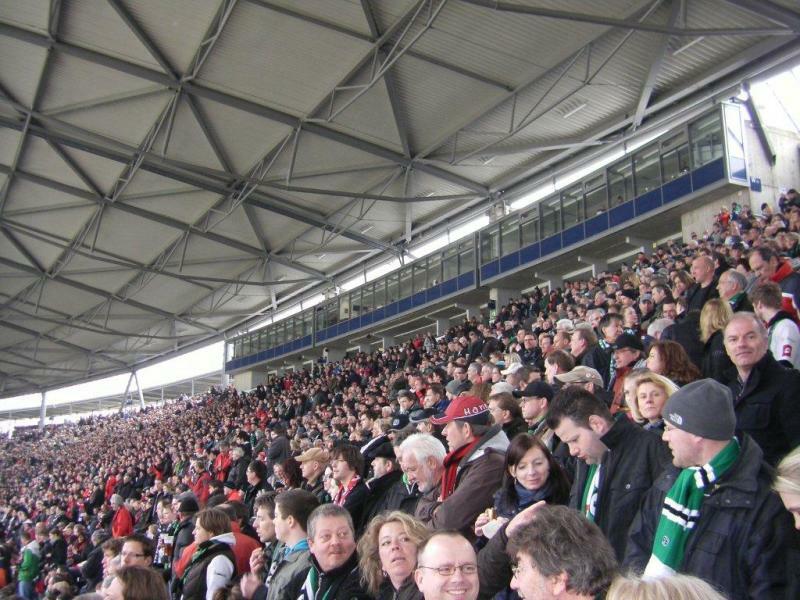 Email stadionfuehrung@hannover96.de or call +49 (0) 511 96900 400 for more information. Hannover96.de – Official website of Hannover 96. AWD-Arena.de – Official website of the HDI Arena. Hannover.de – Official website of the city of Hannover. GVH.de – Hannover public transport information and journey planner.